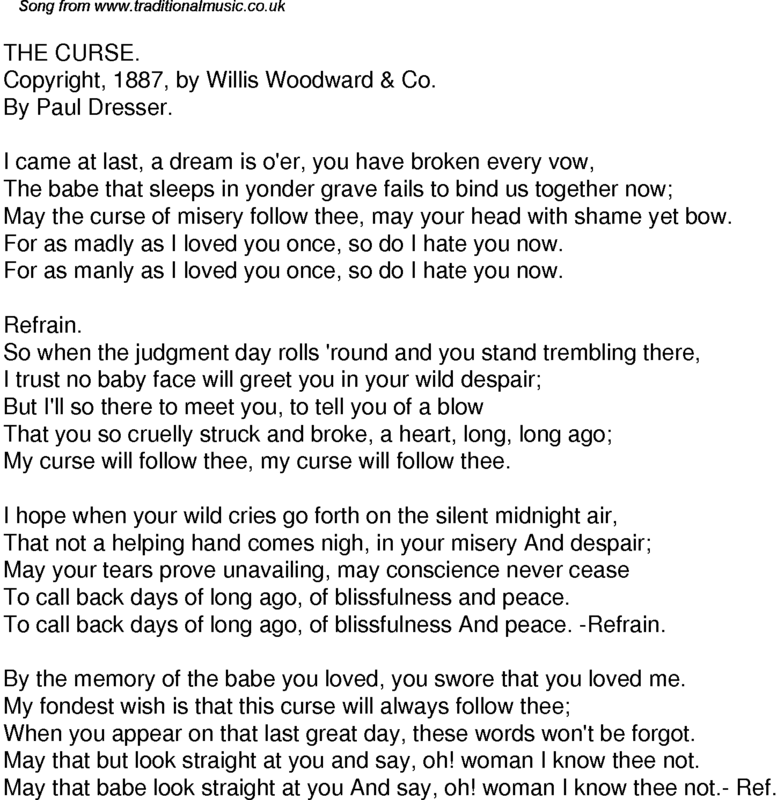 Copyright, 1887, by Willis Woodward & Co.
May the curse of misery follow thee, may your head with shame yet bow. For as madly as I loved you once, so do I hate you now. For as manly as I loved you once, so do I hate you now. My curse will follow thee, my curse will follow thee. To call back days of long ago, of blissfulness and peace. To call back days of long ago, of blissfulness And peace. -Refrain. By the memory of the babe you loved, you swore that you loved me. When you appear on that last great day, these words won't be forgot. May that but look straight at you and say, oh! woman I know thee not. May that babe look straight at you And say, oh! woman I know thee not.- Ref.